As you’re taking notes on the Learning Objectives, don’t write more than a few sentences for any one item. For those that ask you to summarize, you may write up to a short paragraph, max. Learning to distill information down to its essentials from a longer, more complicated source is a critical skill not just for history, but for other classes and jobs — what educators call a “desirable difficulty.” Explaining things in your own words rather than just looking at text improves understanding and memory. Also, it’s common in many lines of work for a boss to drop a stack on your desk and ask you to summarize it. Paraphrasing, encapsulating, or distilling, to put it in common jargon, is what people want when they say give me the skinny, or lowdown, or ask for something in a nutshell, or ask what’s the takeaway? It may be helpful when reading to draw connections to other things or to visualize something the way you would when reading fiction. If you have a particular question, write it down, and we can discuss it. I won’t give you straight answers to Learning Objectives — that’s your task — but I might be able to ask a leading question if you are stuck and have explained to me in detail what you have already come up with. Don’t go through and try to pluck out the material related to the Learning Objectives without reading the whole chapter. It will likely take longer and I will use material from other parts of the text as distractors (wrong answers) on test items, including introductions, conclusions, and all points in between. You’ll miss connective tissue that helps you to make sense of the material. Don’t feel like you need to click on the hyperlinks in these chapters. They are there for your general edification if you want to know more, or don’t understand a particular term, but you should generally pass over them. Stop and look at images and maps because that will better enable you to understand what’s going on in the reading. They are there for a reason and are well worth the few minutes it takes to look them over. They may appear on exams as an aid. Understanding basic geography and chronology (time and space) is helpful in building a basic foundation of historical knowledge. From there you can expand into higher levels of analysis like causation, interpretation, synthesis, etc. A good default way of analyzing whether you really understand something is to ask yourself the “Five W’s” of journalism: who, what, when, where and why. What were the short- and long-term influences and consequences? You won’t be able to apply these principles to every Learning Objective, but they are a good starting point. To further develop your idea of critical reading and reading comprehension, here’s a good 15-20 workshop. Take your time as you’re reading. Studies show that people comprehend material better reading from hard copies than from a screen, but not if screen-readers avoid rushing through material quickly with the cursor on the right-hand scrollbar. The problem isn’t the medium but rather the way readers approach the medium. Use ↓ instead and take the time to read thoroughly. Keep in mind that you can make font bigger or smaller by adjusting your browser settings. Also, if all the images in a chapter don’t appear, push refresh. A final word to the wise. Don’t try the lazy end-around of Quizlet. The information isn’t reliable and, in the past, it’s translated into poor exam grades. Just rely on yourself to do your own work. 1. Evaluate (in a few sentences) what we know and don’t know about how people first migrated to America and who they were. Identify the term subtext and apply it to the debate over whether or not ancient Europeans might have migrated across an Atlantic ice bridge. 2. Evaluate what we really know about who the first non-American Indians were to migrate to America. Contrast the evidence supporting various groups’ claims by assessing the quality of the evidence. Briefly define what scholars mean by the term fringe theory. 3. Explain why Mesoamericans revered astronomers. 4. Describe the basic concepts of the Columbian Exchange, but not all the item details. 5. Summarize 4-5 ways that Europeans and Indians interacted besides the typical warfare depicted in movies. Identify the term accordion effect in the context of American Indian history. 6. Recognize why captivity narratives were interesting to colonial Americans and Europeans. 1. Summarize the traditional interpretation of Western history between the ancient Greeks and Romans and the Renaissance. Explain why this interpretation is basically true, but oversimplified. 2. Outline what enabled Europeans to colonize overseas during the Renaissance. You will add to this LO as you read the rest of the chapter. 3. Describe the extent of Chinese exploration and trade during the Ming Dynasty. Why did China turn away from overseas expansion? 4. Describe how advances in weaponry changed European politics and contributed to the advent of overseas colonization. 5. Explain what motivated Europeans to trade with Asia and, more specifically, what motivated the Portuguese to sail around the tip of Africa. 6. Identify how improvements in printing and paper changed European history. 7. Explain how changes in math and finance helped trigger commerce and exploration during the Renaissance. 8. The textbook describes the legalization of lending at interest as one of the most underrated aspects of Western history (in terms of importance). Analyze how Europeans started to get around religious restrictions on lending money at interest during the Renaissance. What were some long-term advantages and disadvantages of that shift in attitude? 9. Describe how English and Dutch corporations (or joint stock companies) enabled overseas colonization. 10. Distinguish between free trade and mercantilism and explain how mercantilism helped bring about the settlement of the Americas. 1. Explain how and why Spain ended up colonizing America. 2. Evaluate the controversy over Columbus Day in 1992. Should we celebrate Columbus Day? 3. Identify what enabled Spain to conquer the Aztecs and Incas. Analyze what prevented Spain from developing the northern part of their empire economically. Describe why the population in the future American Southwest was sparser than the area to the south (modern-day Mexico). 4. Describe the impact of Spain’s colonization on the rest of Europe. How did Spanish wealth change European and world history? 5. Contrast France’s inability to coax significant numbers of immigrants to America with England’s ability to fill in the eastern seaboard. Analyze what accounted for the difference. 6. Explain Britain’s success in winning the French & Indian war after getting off to a rocky start. How did they win? 7. Explain the connection between the French & Indian War and the American Revolution. 1. Summarize how the textbook accounts for the early adaptations/changes within Christianity as it began to take shape in Rome as the Catholic Church. 2. Outline how Martin Luther wanted to reform Christianity. What were his complaints against the Church (Catholicism) and how did he propose reforming it? What enabled Luther to succeed where earlier heretics like John Wycliffe and Jan Hus failed? 3. Briefly identify John Calvin’s context and describe how Calvin influenced American history. We’ll go into more detail on this in Chapter 6 (New England). 4. Analyze how the Protestant Reformation shaped the reigns of Henry VIII and Elizabeth I of England. 5. Contrast the drama in the Houses of Tudor and Stuart with how future colonial Americans hoped to run the country they started over a century later. 6. Describe connections between the Protestant Reformation and American history. Identify one theory as to why more genuine notions of religious freedom developed in America than had in Europe. 1. Over the course of this chapter, analyze what motivated the English to colonize America. 2. Explain how the Pocahontas-John Smith romance — mythological or not — symbolized a broader truth about the early Chesapeake. 3. Identify what economic development saved the colony and why that created a need for cheap labor. Describe how Jamestown’s early struggles led to the beginning of self-rule in colonial America. 4. Describe how Bacon’s Rebellion inadvertently helped expand white democracy in colonial Virginia. Explain the long-term impact of this dynamic. 5. 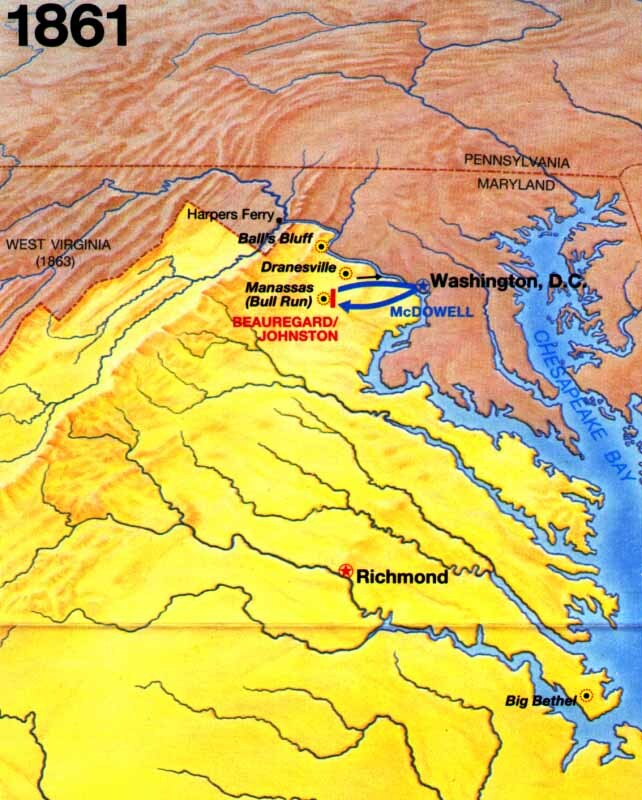 Outline how Virginia was influential among the early colonies. 6. Describe how and why Dutch New Netherland became English New York. 2. Outline the mission and theology of New England Puritanism and explain whom they likened themselves to historically. 3. How did the Puritans’ village geography reinforce their values? Describe how their church architecture blurred church-state relations but also encouraged participatory democracy. 4. Discuss how Anne Hutchinson could be viewed as a natural trajectory of the Protestant Reformation. 5. Contrast the views of Roger Williams with those of the Puritan religious establishment. Explain how Williams expanded the notion of religious freedom beyond that of the Pilgrims/Puritans. 6. The textbook argues that declinism — the idea that things are going downhill, especially morally — is a nearly universal and perpetual sentiment. Challenge yourself to think of one example of something that, in your opinion, is currently getting worse, and one that is getting better. 7. Explain what is meant by the term Perfect Storm and how it might apply to the Salem Witch Trials. Identify some of the main causes of the witch trials. 8. Explain how New England’s self-perception has continued to affect American history up until the present day. Identify and explain the concept of American Exceptionalism. 2a. Compare & contrast Pennsylvania colony with New England Puritanism. What was religious life in Pennsylvania like compared to New England? How did Quakers influence history? 2b. Describe how Benjamin Franklin exemplified the Enlightenment ethos. 2c. Explain why Masons were controversial and how Freemasonry impacted American history. 3. Contrast Great Awakening theology with that of the original 17th-century New England Calvinists. 4. Identify 2-3 of the main religious denominations that sprang out of the Great Awakening. 5. Despite Jefferson’s unorthodox faith, a group of Baptists from Cheshire, Massachusetts sent him a 1200-pound block of cheese. Why? 6. Analyze why another group of New England Baptists in Connecticut sent President Jefferson a thank you letter. Discuss how his response impacted Constitutional interpretations of the First Amendment. 7. Explain one theory why, despite officially separating religion and politics, the United States ended up with more religion in its politics than most countries. 8. Looking back on this chapter, summarize how a combination of the Enlightenment and Great Awakening provided ideological bases for the American Revolution. 1. Describe the impact of the French & Indian War and Pontiac’s Rebellion on the American Revolution. 2. Describe the first tax revolts. What was the colonists’ main complaint? Differentiate between how they responded to the Stamp Act versus the Townshend Duties. What role did women play? — We’ll revisit the Burning of the Gaspee and Pine Tree Riots more below. 3. Briefly describe the role of taverns, the early postal system, and churches/religion in organizing resistance against the British. 4. Analyze why the British saw Boston as a primary source of agitation against their empire. Keep this LO in mind as you respond to LO #5. 5. Analyze the connection between the “Destruction of the Tea” and the American Revolutionary War. Refresh yourself on the term mercantilism from Chapter 2. How might one argue that the Burning of the Gaspee, Pine Tree Riots, and Boston Tea Destruction were really protests, more broadly, against British mercantilism? Describe why the Quebec Act of 1774 angered colonists along the eastern seaboard. Explain how the crackdown against Massachusetts, intended to teach other colonies a lesson, instead galvanized rebel support in Virginia and helped unify colonial-wide resistance. Briefly describe early military action in New England and Canada. How might an older, wiser King George III have diffused this conflict? 6. Define Whig and summarize how British Whigs contributed to the American Revolution. Who was the most famous Anglo-American Whig pamphleteer that contributed directly to the rebellion? What were his arguments? There is more on Whigs in the section below on the Declaration. 7. Describe how events in Pennsylvania indicate the actual push for independence was coming partly from the people (grassroots), not just political leaders. 8. How does Jefferson justify the rebellion from a religious perspective? Whom does Jefferson (and the committee) blame most for the bad relations between the colonies and Britain? How persuasive is Jefferson’s lists of complaints? Were the complaints extreme enough to justify separation? 9. Evaluate the impact, domestic and international, of the Declaration of Independence. 1. Summarize George Washington’s military strategy. What were the main British and Rebel advantages and disadvantages? LECTURE CLASS STUDENTS: Over the course of the chapter, assess Washington’s skill as a general. 2. Explain why the Battle of Saratoga was a turning point in the war. 3. Describe Benjamin Franklin’s diplomatic role in the Revolutionary War. 4. Outline the decisions Washington made at Valley Forge and explain their impact. 5. Identify what motivated Benedict Arnold (and/or Peggy Shippen) to eventually side with the British. 6. Summarize the role of France in the Revolutionary War. How did their entry change the entire outlook of the British? What was the French role at the critical Battle of Yorktown? Before you start, spend an hour or so doing something most native-born Americans have never done, including many political candidates and some of the fiercest defenders of their constitutional rights: familiarize yourself with the U.S. Constitution. Read the Preamble, opening sections (first bullet points) of Articles I-V (1-5), and Amendments I-XVI (1-16). 1. Analyze the advantage of the USA starting out as a loose-knit collection of thirteen states instead of a country with a strong, central government. 2. Evaluate whether it’s worthwhile to even have states in the first place if we’re going to have a nation. Should the states have any power at all beyond just as smaller administrative units? If so, why? What purpose do they serve? 3. Outline the accomplishments under the Articles of Confederation and its main problems. 4. Access the meaning and impact of Shay’s Rebellion. What does this uprising tell us about the early United States? 5. Evaluate the role of James Madison at the Constitutional Convention. Assess a basic flaw in the idea that Iroquois, pirates or Freemasons must have influenced the Constitution. Define the term Occam’s Razor and describe how it applies to this example. Why could the Founders have called the overall idea they used the Massachusetts Plan? 6. Contrast the common use of the word federalism with its dictionary meaning. 7. Describe why the Framers didn’t allow a straight popular vote for the presidency. Integrate this with your knowledge of the Great Compromise. 8. Summarize the role of Charles Pinckney at the Constitutional Convention. How did his suggestions regarding the military change or affect American history? 9. Explain the overlapping but slightly different interpretations of historians Saul Cornell and Joyce Lee Malcolm on the meaning (original intent) of the Second Amendment. Explain why gun advocates’ use of quotations by Richard Henry Lee and James Madison are misleading. Identify and explain the judiciary’s Second Amendment shift in emphasis from militias to individual rights during the Civil War era. 10. Evaluate the arguments James Madison made in the Federalist Papers regarding the size and diversity of the United States. Why does the textbook argue that, if we must have lobbies, it’s better to have more than less? 11. Analyze why the Framers attached a list of individual protections to the Constitution later known as the Bill of Rights. 12. Describe how the Senate framed its conflict with Muslim pirates in the 1790s. 13. Identify two Middle Eastern countries that tried to build democracies in the 2010s and some of the problems they faced. Why doesn’t simply granting people the right to vote protect everyone’s rights? How might American policy in Iraq have differed if we better understood our own history and the religions of other countries? 1a. Explain how cabinets arose in the executive branch. 1b. Contrast the differing plans of Thomas Jefferson and Alexander Hamilton for the future of the United States. 2. Contrast the constitutional principles of strict construction and loose, or broad construction. Which portions of the Constitution do strict and loose constructionists emphasize, respectively? 3. Identify the story around “Dinner Deal” and describe how it lead to the creation of Washington, D.C.
4. Explain Hamilton’s connection to early Wall Street finance. 5. Analyze how the French Revolution affected American politics. What does the Citizen Genêt Affair tell us about early American politics? 6. Identify the Newspaper War. Explain why Washington was so disappointed in Jefferson. 7a. Explain what is wrong with viewing the Whiskey Rebels as simple anti-government, anti-tax yahoos unwilling to pay their fair portion. 7b. Describe how you could characterize the Whiskey Rebellion as a win-win situation for most people involved, or at least both main political factions (Federalists & Democratic-Republicans). 8. Summarize the factors that made John Adams’ presidency so difficult in the late 1790s. 9. Evaluate the logic of Jefferson & Madison’s Virginia & Kentucky Resolutions. Analyze their issue with the Alien & Sedition Act. What’s problematic with Nullification Theory? 10. Summarize the impact of personal bickering and dirty politicking on the respective careers of Jefferson and Hamilton during the era of the Newspaper Wars. How did the Reynolds Affair affect both men? 11. Explain how today’s Democrats and Republicans can both claim some elements of the Federalists and Democratic-Republicans, but not others. Such developments include: the expansion of the vote among white males, the rise of slavery in importance to the Southern economy, the continued exploration of the west and settlement by Americans, the expansion of farming across the Midwest and Heartland, the rise of industry during the Market Revolution and the rise of New York as a major financial center. *This objective connects to the first objective on Jefferson and Hamilton’s hopes for the American future. It will connect to 2-3 questions on the exam. 1. Describe how the Burr conspiracy trial established an important precedent for America’s future. Why did Justice John Marshall handle the case the way he did? Was it because he thought Burr was innocent? 2. Explain how Jefferson’s victory in 1800 represented at least a moderate revolution in American politics. 3. Dissect Jefferson’s motivations for creating an officer’s academy at West Point. 4. Explain why Napoleon agreed to sell the Louisiana Territory to the U.S.
5. Describe Jefferson’s motivations for the Louisiana Purchase and sending Lewis & Clark across the Rockies. How did they connect to his vision for America’s future? How did Indians fit into America’s future for Jefferson? 6. Evaluate Jefferson and Madison’s embargo against European trade. Analyze its cause and how it led to the War of 1812. Explain why it was divisive between the Northeast and the rest of the U.S.
7. Discuss other factors (besides the embargo) that contributed to U.S. involvement in the War of 1812. 8. Analyze the long-term impact of the War of 1812 for both the U.S. and American Indians. 1. Outline why politics became a bigger part of everyday life in early 19th century America. 2. Describe how and why political parties naturally form in a democracy and what their function is. 3. Describe Martin Van Buren’s role in the rise of the Democrats. 4. Describe some of the ways Andrew Jackson redefined and strengthened the Presidency. 5. Explain Andrew Jackson’s attitude toward finance, and what impact it had on the country. Evaluate whether it was a wise move to dismantle the National Bank. 6. Explain how the Nullification Crisis in South Carolina connects to sectional politics between the 1830s and the Civil War. Also, explain how the Democratic party managed to maintain a trans-sectional allegiance up until the mid-1840s. 7. Compare Andrew Jackson’s Indian policy to that of the Founding Fathers and Abraham Lincoln. 8. Describe what role the new Whig party played in American politics. Why did they choose the name they did? What was their platform? Why did they choose the candidate they did in 1840? How did they give the Democrats a “dose of their own medicine” in 1840? 9. Explain how in some ways, but not others, we live in an “era of common men” ourselves. 1. Briefly describe the origins of the Industrial Revolution. 2. Outline the key technological and production innovations of the early Market Revolution in America. 3-4. Describe why subsistence farming gradually gave way to market-based farming in the 19th century. 4-3. Analyze how John Deere’s steel-tipped plow both exemplified the industrial revolution and helped cause the Market Revolution. How did it trigger a multiplier effect? 5. Describe how the cotton gin actually increased rather than decreased the need for southern slaves. 6. Describe the economic impact of the Erie Canal. Analyze how it affected the Market Revolution. 7. Name two ways that the Market Revolution illustrates the saying, necessity is the mother of invention. 8. Describe why the time of day started to matter to Americans in the 19th century. 9. Evaluate the term traditional housewife. Why was the concept new to early 19th America? 10. Identify how the Market Revolution connected to the early Women’s Suffragist movement. 11. Contrast between the older, vertical orientation of workers and the new horizontal outlook. Why did that gradually begin to shift in the 19th century? How did some radicals in Europe advocate coping with that shift? 12. Describe how anticipation of the Second Coming [of Christ] affected reform movements in the 19th century. Explain how these movements connected to the Market Revolution. 13. Explain why basic education (the 3 R’s) started to matter more during the 19th century. 14. Looking back over this section, summarize how steam power impacted religion, education, and politics. 15. Distinguish between moral relativism as it’s sometimes described in the media and what it means to historians. Identify an example of moral relativism from the Market Revolution. 1. Describe the basics of the Atlantic slave trade. Where did most slaves originate? Identify the Middle Passage and how slaves got to America. Where did they go in America? 2. Analyze why Exodus was a popular Biblical book for slaves. 3. Describe how skin tone impacted the layout of large slave plantations. Why did the color of slaves’ skin vary so much? 4. Analyze why there weren’t more slave uprisings in early American history, and what went wrong with those that did occur. 5. Describe the workings of the Underground Railroad. Why was it such a controversial part of the sectional crisis? Who were the principal figures responsible for keeping it operational? Explain why, during the 1850s, it was often Northerners rather than Southerners who advocated for states’ rights. 6. Identify the abolitionists of the 19th century. Who were they and what motivated their cause? What did they hope to do with emancipated slaves? 7. Tap into the Trans-Atlantic Slave Trade Database, TASTD on the banner at the top of the chapter. Select Time Frame of 1600 to 1866. Click on Voyage Database > Search the Voyages Database. Use the Voyage Itinerary > Place Where Voyage Ended search tool, then under Current Query select Mainland North America and Search. Pick a random voyage and describe in a few sentences what were you able to learn about this particular voyage. See what you can find under Variables, Map, and Images. What questions did the database leave unanswered? Bring a hard copy of your notes on this to class. 8. Go to Columbia University’s Record of Fugitives [Slaves]. Click on “Record of Fugitives” in the upper left-hand corner. Click on “Transcription Only PDF.” Scroll down to any random page until you see a new heading concerning a runaway slave. What can you learn about this slave’s experience from the brief entry? What major questions does it leave unanswered? 1. Outline some of the reasons why there weren’t many white Americans in the West prior to the 1820s-30’s. What motivated them by the 1830s? Identify how politics slowed western development prior to the Civil War. 2. Define Manifest Destiny and explain how it tied into western expansion. 3. Analyze the Whitman Massacre in the Oregon Country. Explain how the nature of their misunderstanding with Indians was connected to the Oregon Trail. Explain how white settlers used the murders to their advantage. 4. Describe how the Church of Jesus Christ of Latter-Day Saints came into being. Distinguish between the roles of Joseph Smith and Brigham Young. 5. Describe what caused tension between the U.S./state governments and the Mormons. How was the dispute resolved after their move to Utah? 6. Analyze the Supreme Court’s reasoning in Reynolds v. U.S. (1878). Why, in essence, did the Court ban polygamy in the United States? 7. Explain how the California Gold Rush set the pattern for growth and urbanization in the West. 8. Identify two examples of genocidal policies on the part of local/state governments in this chapter. 1. How did Whites first end up in Texas (or Tejas)? 2. Explain and evaluate the Texians’ principal complaints against Mexico. Why were other Mexican states also rebelling against the national government around this time? 4. Identify James Polk’s contributions to American expansion and discuss why Polk ended up being a sectionally-divisive president. 5. Analyze how Americans ended up controlling the Southwest — in both Texas and the areas that became New Mexico, Arizona, and California. Did military battles follow on the heels of immigration and economic development or vice-versa? 6. Summarize and evaluate why the U.S. went to war with Mexico in 1846. 7. Identify the main political supporters and opponents of the Mexican War in the U.S.
8. Explain why the U.S. gave back the lower half of Mexico in 1848. 1. Identify John C. Calhoun and analyze his Constitutional justification of perpetuating slavery. 2. Explain why Zachary Taylor disappointed James Polk on Inauguration Day, 1849. Describe how their talk foreshadowed future problems. 3. Evaluate the Compromise of 1850. What were its main features? Explain how, while popular at the time, it contained seeds of future destruction. 4. Analyze how Bleeding Kansas contributed to the breakdown of political compromise in Washington. 5. Describe how Bleeding Kansas connects to the formation of the Republican Party (GOP). How did Bleeding Kansas revive Abraham Lincoln’s career? 6. Outline the cultural and economic cleavage that was opening between the North and South by the 1850s, even as the regions grew more linked by transportation and economically integrated than ever. 7. Analyze how Harriet Beecher Stowe’s Uncle Tom’s Cabin became the most influential novel of the 19th century. 8. Explain how Abraham Lincoln cornered Stephen Douglas in the 1858 Illinois senatorial campaign by saying that free (or popular) sovereignty conflicted with the Dred Scott v. Sandford ruling. Why did free sovereignty contradict the Dred Scott ruling? Why did Lincoln also contradict the Dred Scott ruling? Explain why Dred Scott swung southern politicians in favor of national power against states’ rights. 9. Interpret how the Republicans’ mantra of Free Soil, Free Labor, Free Men appealed to a broader range of Northerners than pure abolitionism. 1. Distinguish between and identify the immediate or proximate cause of the Civil War as opposed to the ultimate, root reasons for Southern secession. Define the term voluntary compact as used by South Carolina. What does the Constitution have to say about secession? 2. Explain why tariffs were a divisive issue between North and South in the 19th century. Evaluate their importance in causing the Civil War. 3. Evaluate the argument that tension between the capitalist, industrializing North and agrarian, plantation South caused the Civil War. What are some limitations of this theory? 4. Evaluate and critique the states’ rights interpretation as a primary means of explaining Southern secession. Why did the Democrats split – North and South – at their 1860 summer convention? Who, alone among the presidential candidates of 1860, wanted western territories to decide their own fate regarding slavery? How did states’ rights figure into the Confederacy’s Constitutional rationale for secession, if at all? 5. Analyze and interpret the declarations of independence (or Cause of Secession) from the U.S. for South Carolina and Mississippi, the first two states to secede. What do they tell you about their priorities? 6. Distinguish between what motivated politicians to secede (South) or fight (North), and what motivated common Americans to fight in the Civil War. 7. Analyze how the CSA defined itself in terms of currency, capital, flag, and historical interpretation. How did the CSA’s constitution compare to the U.S. version? What was its stance on states’ rights? How did the CSA hope to isolate New England? 8. Identify how CSA VP Alexander Stephens described the Confederacy in his Cornerstone Speech. How did Stephens distinguish Confederate founders from the U.S. founders? 9. Explain why Abraham Lincoln supported using a constitutional amendment to preserve Southeastern slavery in 1861. 10. Summarize why Abraham Lincoln wanted to keep the South in the Union by force. Why didn’t he (and the North) just let them go? 11. Step back from this chapter after reading it and think over its main points. If you had to distill this chapter down to its essence in say two or three sentences, what would they be? 1. Explain why the battle over Fort Sumter symbolized one of the reasons Lincoln chose to keep the South in the Union by force. Also, explain Fort Sumter’s political impact. How did it dash any hope of a peaceful resolution? 2. Explain the logic behind the North’s Anaconda (or Great Snake) strategy. 3. Compare and contrast the military advantages and disadvantages of the North and South at the outset of the Civil War. 4. Briefly summarize what made soldiering difficult in the 1860s. 5. 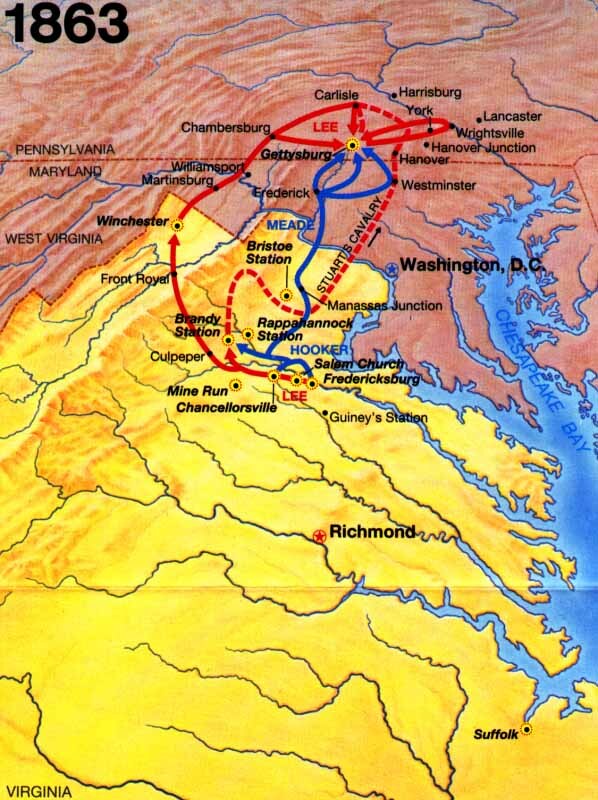 Explain why the political outcome of the war would’ve been different (than it was in 1865) if the North/Union had won the First Battle of Bull Run (or First Manassas) so decisively that they invaded and conquered Richmond in 1861. 6. Explain how the 1862 Battle of Antietam changed the Civil War politically and diplomatically. 7. Compare the military strategies of George McClellan and Abraham Lincoln. 8. Evaluate Lincoln’s thinking in issuing the Emancipation Proclamation. Why did it make sense at this point in the war? Why did Lincoln change his slavery policy, taking a different stance than he had in 1861? 9. Summarize the challenges and difficulties facing the North and South by mid-way through the war. Explain why Lincoln was struggling and why the South was suffering economically. 10. Summarize what factors foiled the Confederacy’s hopes for European diplomatic support. 11. Describe why the breakdown in the prisoner exchange program favored the North. 1. 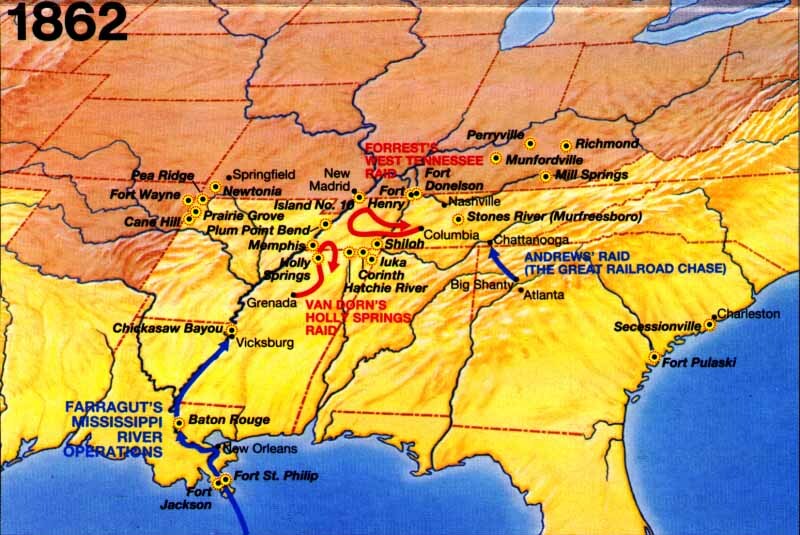 Explain Robert E. Lee’s motivation for invading the North in 1863. Evaluate what went wrong for the Confederates and why Gettysburg was one of the war’s turning points. 2. Interpret the Draft Day Riots, explaining how they were emblematic of the challenges Lincoln faced in rallying the North. 3. Identify Frederick Douglass and briefly describe his relationship with Lincoln. 4. Explain why Lincoln’s Gettysburg Address resonated with future Americans. Why is it famous? 6. Describe the purpose of William Tecumseh Sherman’s March to the Sea and its effectiveness. 7. Analyze the importance of the 1864 election. Explain who ran and why it was arguably one of the biggest elections in U.S. history. 8. Explain why Lincoln thought it was important to pass a Constitutional amendment abolishing slavery toward the end of the war. Why didn’t the Emancipation Proclamation suffice? 9. Summarize Lincoln’s Second Inaugural Address. How did his message differ from previous remarks? What were his central themes? 10. Explain the theory that John Wilkes Booth did the South a disfavor by killing Lincoln. 1. Contrast the goals of Southern politicians and Republicans in Congress just after the Civil War. Discuss where Andrew Johnson fit into the picture. Identify the term Jim Crow and explain how the status of Blacks varied regionally in the years right after the war. 2. Evaluate the success and failures of the Reconstruction amendments (13th-15th), sometimes known as the Civil War amendments. 3. Summarize the role of the early Ku Klux Klan and other vigilante groups, and identify the term Southern Redemption. 4. One of the main documents supporting the Lost Cause theory of the Civil War is the Confederate Catechism. Identify the Catechism’s concluding argument as to what was “at the bottom of it all.” According to its authors, what, rather than slavery, caused the Civil War? 5. Explain how the Compromise of 1877 brought an end to the formal phase of Reconstruction. 6. Describe the role the Supreme Court played in defining Reconstruction’s legacy. 7. We often think of the 13th Amendment as ending slavery altogether. However, there was one important loophole. Identify that loophole and explain how it impacted Southern history. 1. Summarize the role of the federal government in settling the Great Plains. 2. Explain how the Sand Creek Massacre affected Great Plains history. 3. Analyze the impact of Little Bighorn (Custer’s Last Stand) on white-Indian relations. Chronology: What motivated England to come to America? What was the connection between the French & Indian War & American Revolution? Chronology: Coming of the American Revolution. What protests kicked off the debate over taxes from 1765-1770? What was the one Townshend Duty tax that was not repealed? What was the impact of the Boston Tea Destruction? What did it lead to? Chronology: What was the impact of Bleeding Kansas on the political system? What motivated Lincoln to get back into politics? What was the ruling in Dred Scott? What did Lincoln and Douglas argue about in their 1858 debates?